Well this is a pretty magical place. Its not so easy to get to but the drive in has to be one of the most beautiful in the world. 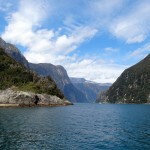 You cant help but learn a little geography when you visit here as you learn that Milford Sound is in fact a fjord. You know a fjord right, a water filled valley created by a retreating glacier. 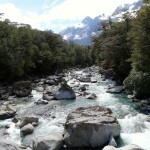 Anyway it was the place for pretty spectacular scenery and some beautiful wildlife. I saw so many beautiful birds including a Kia, the worlds biggest parrot species and some paradise ducklings too. 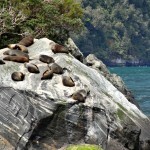 We also saw some seals lazing on the rocks and some tiny little penguins. A long but memorable day.